It’s the pirate’s life for me! Ok, maybe you’re not really gung-ho about becoming a pirate and all, but would really enjoy living by the water. 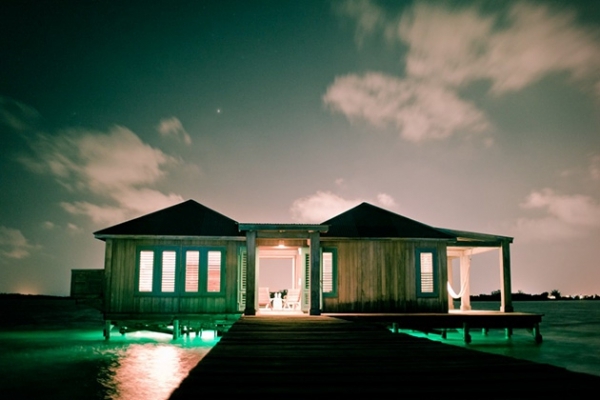 There’s a peace that comes with choosing a home by the water and can make any day or night that much more magical. 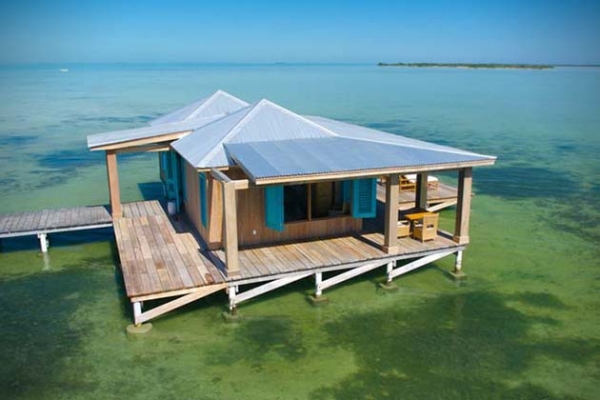 But what if you could comfortably live ON the water in a stable way that ensures you wouldn’t have to worry about seasickness? 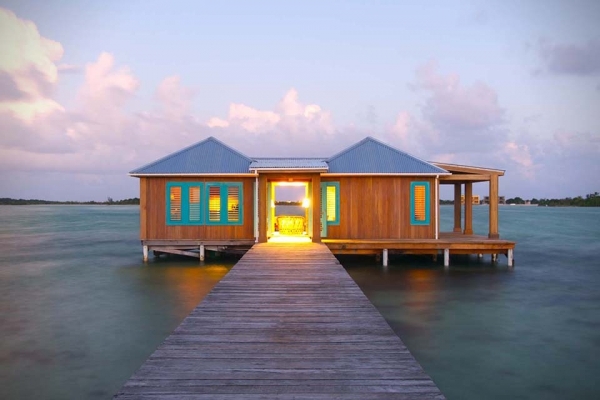 Today’s feature brings us to Belize to check out this overwater bungalow that is part of a private island resort called 5-Star Cayo. Introducing, the Casa Ventanas! 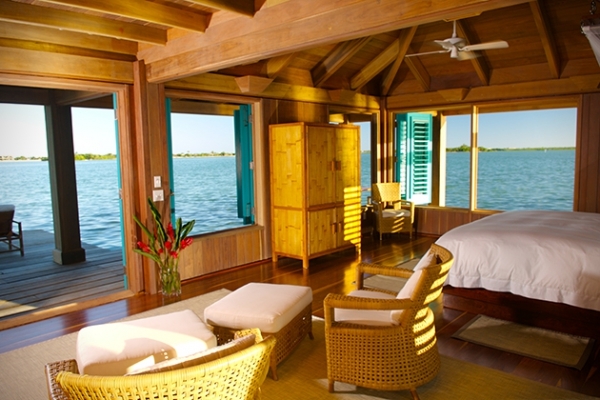 At just 1,000 square feet, this overwater bungalow comfortably rests on its own dock that allows voluntary contact with land whenever the need shall arise. 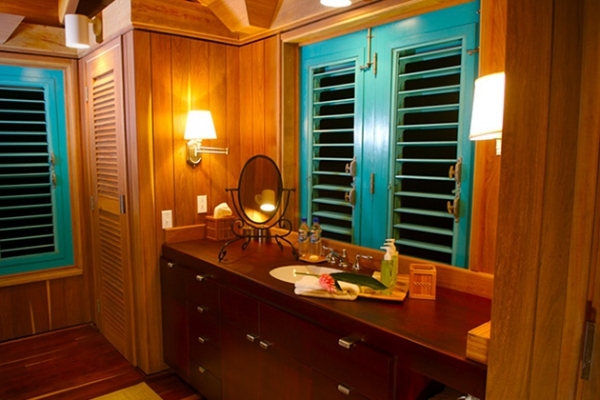 Quite naturally, the décor consist of basket-woven furniture and subtle marine colors. A panoramic view of the water, thanks to the many shuttered windows, compliments the deck that conveniently surrounds this home so that you can enjoy the relaxing sounds of the water at any angle. 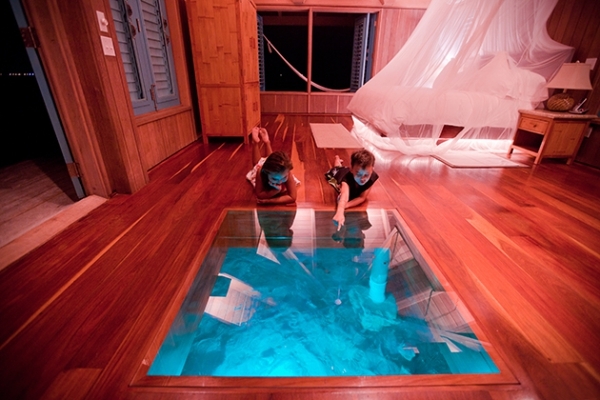 If you’re not really feeling up to sitting outside for a bit, you can also escape to your bedroom to enjoy your very own live aquarium of the aquatic world right beneath your feet! 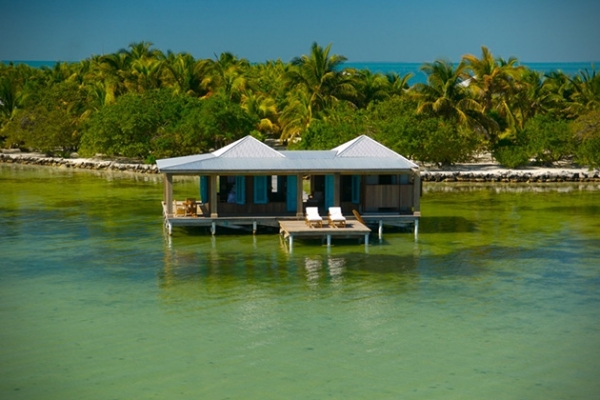 Enjoy your vacation bliss with style!